Get your custom Flukes and Fleas here! I do the Art, You get a treat! 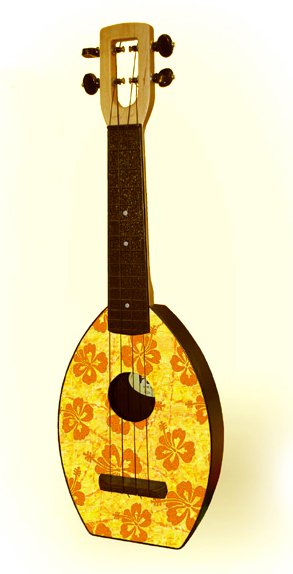 Fluke and Flea Ukuleles are favored by Professionals, amatures, music stars, movie stars, beginners, and advanced players. At the Luau, in the Hammock or on stage, the warm tone, spot-on intonation, good looks and durability will make it your favorite as well! The Tiki Fluke tops are Individually hand painted, signed and numbered, and as such and may vary slightly in color from photo shown here. The other Flukes and Fleas are specially printed high quality reproductions of my original artwork. A fun piece of Art you can play with! Click on pictures for Pricing, details, and scroll down for more!